Dry. Woodland edges, river banks. Full sun to full shade. 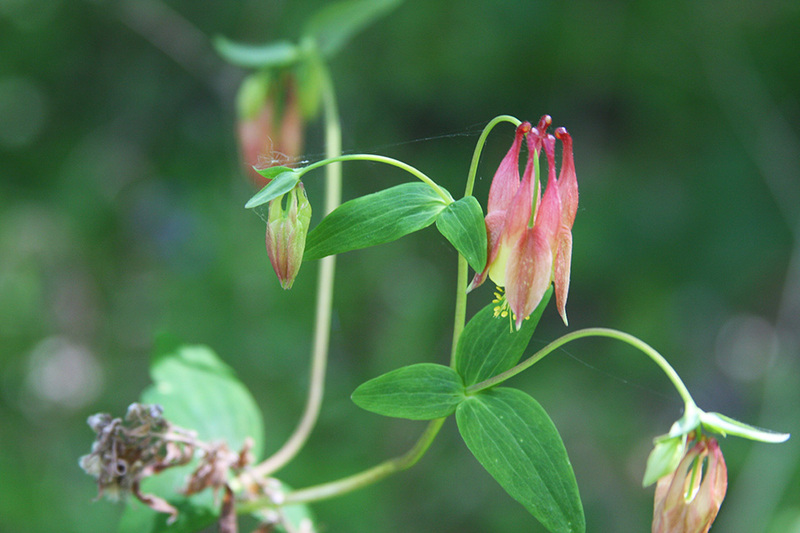 This is a 1′ to 3′ tall, erect, perennial forb that rises from a stout taproot and thin, woody rhizomes. Basal leaves emerge in the early spring on long stems. 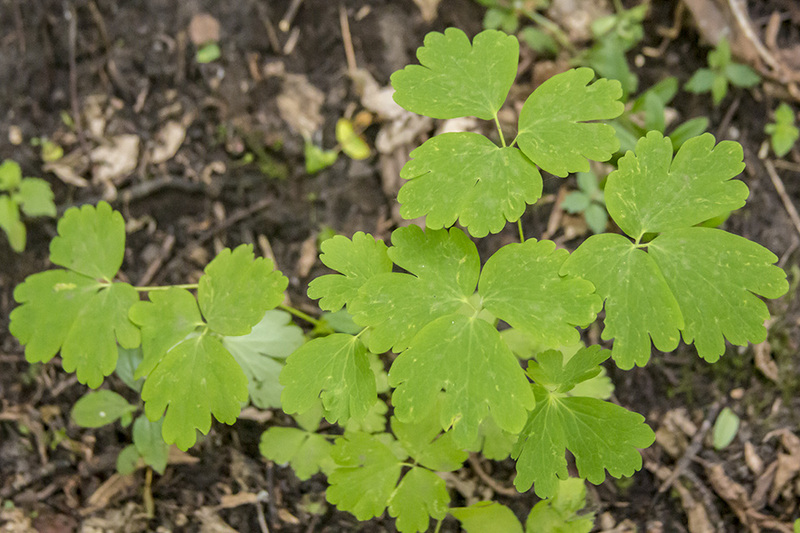 The leaves are much shorter than the stems. They are divided into groups of 3 leaflets that are up to 3″ long and 2″ wide. 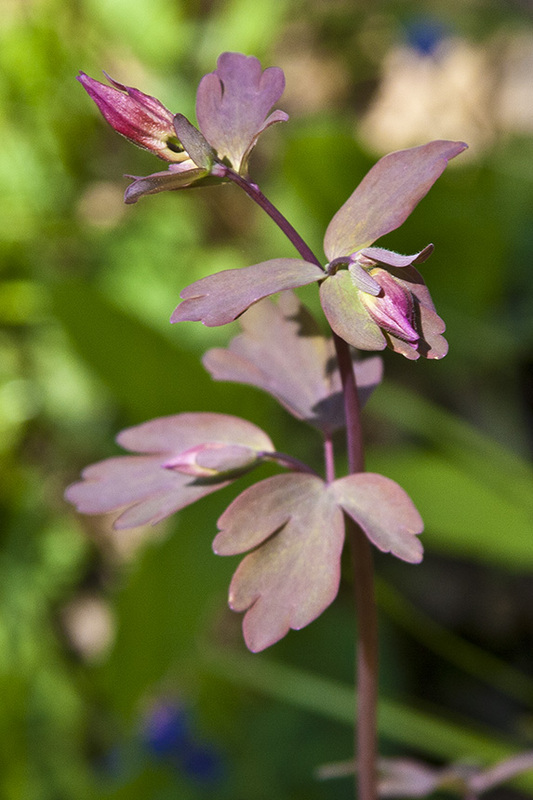 Each leaflet is divided again into 3 triangular or wedge-shaped lobes. The lobes are often themselves divided into 2 or more secondary lobes that resemble large, rounded teeth. The leaflets may be stalked or unstalked, with both types occurring on the same plant. 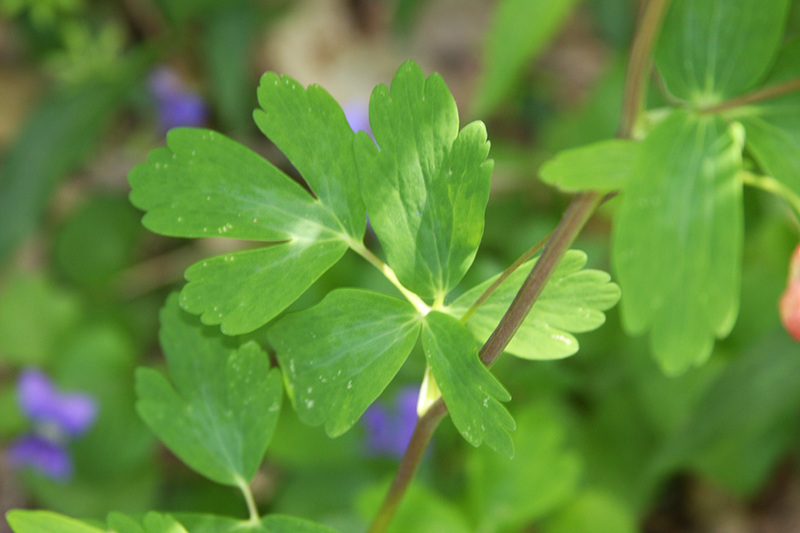 The upper surface of the leaf is hairless and may be somewhat covered with a whitish, waxy bloom (glaucous). The lower surface is glaucous and may be finely hairy near the base. 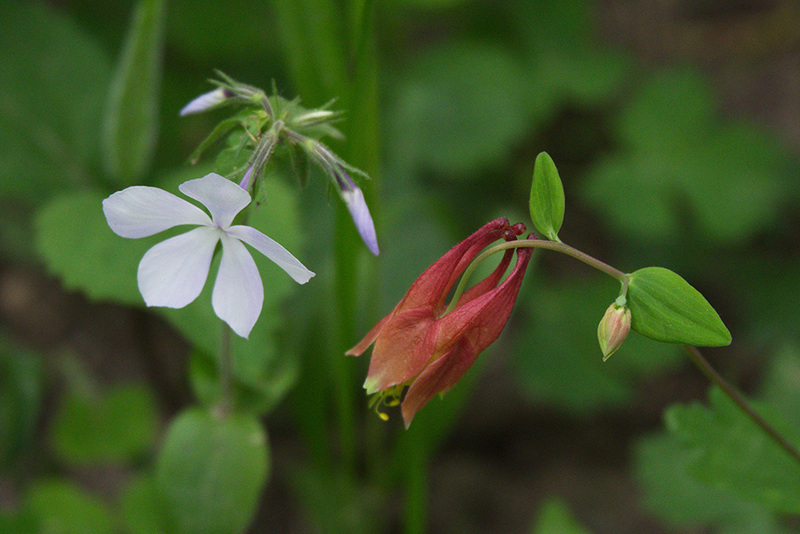 In the late spring stems are produced. 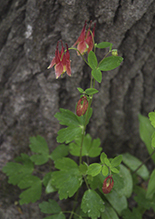 The stems are slender, sparingly branched, hollow, cylindrical, and hairless, though they may be slightly hairy on the upper portion. 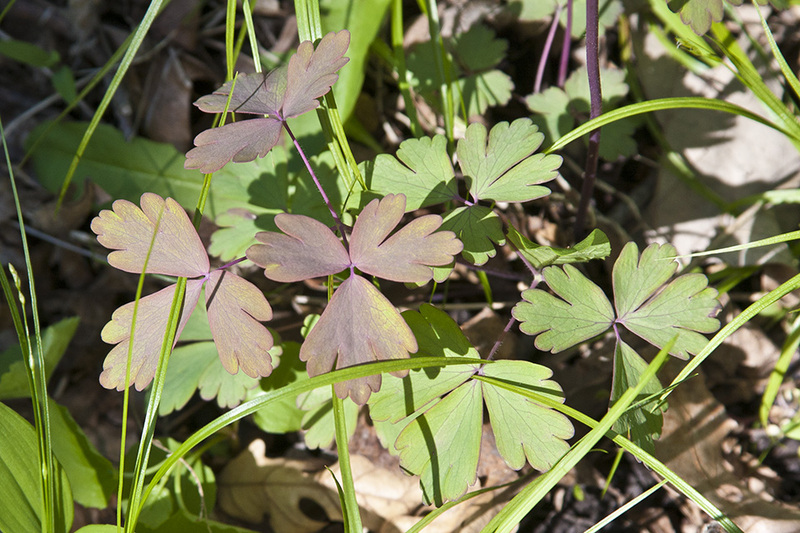 Stem leaves are alternate and similar to the basal leaves but smaller and on shorter stalks. They become progressively smaller with shorter stalks as they ascend the stem. The leaves are often tinged with red, sometimes just near the margins. The inflorescence is a solitary flower or pair of flowers at the end of a branch. 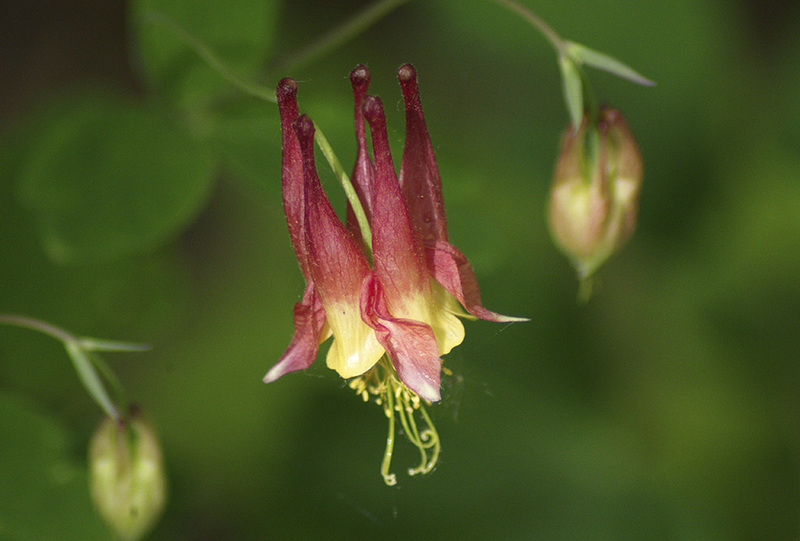 The flowers are showy and hang downward at the end of a long, erect flower stalk. They are 1″ to 2″ long and ⅔″ to 1¾″ wide. 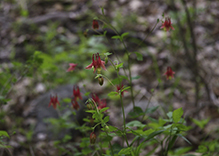 They have 5 petal-like, red, ¼″ to ¾″ long sepals, and 5 red and yellow petals. 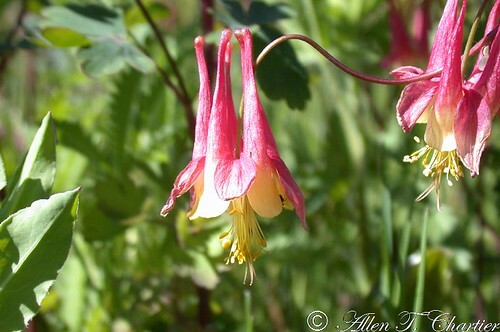 The tips of the petals are yellow and rounded. 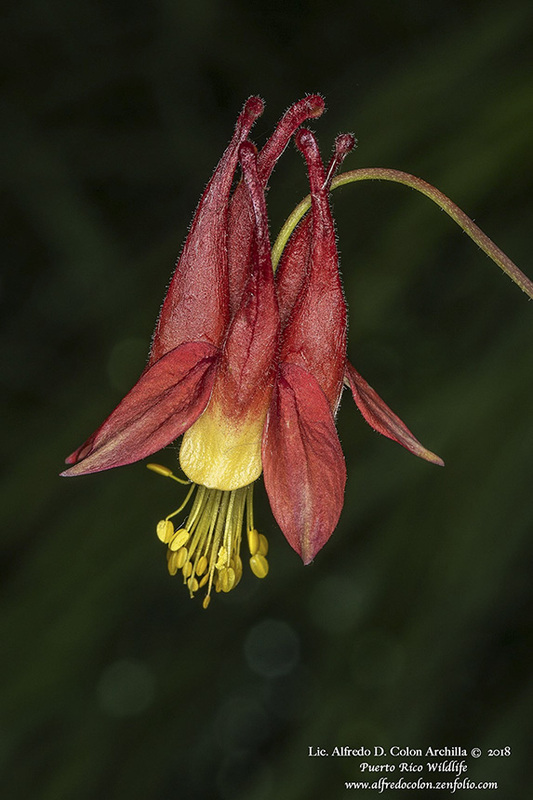 The base is a long, slender, erect or slightly-spreading, red nectar spur with a slightly-enlarged tip. 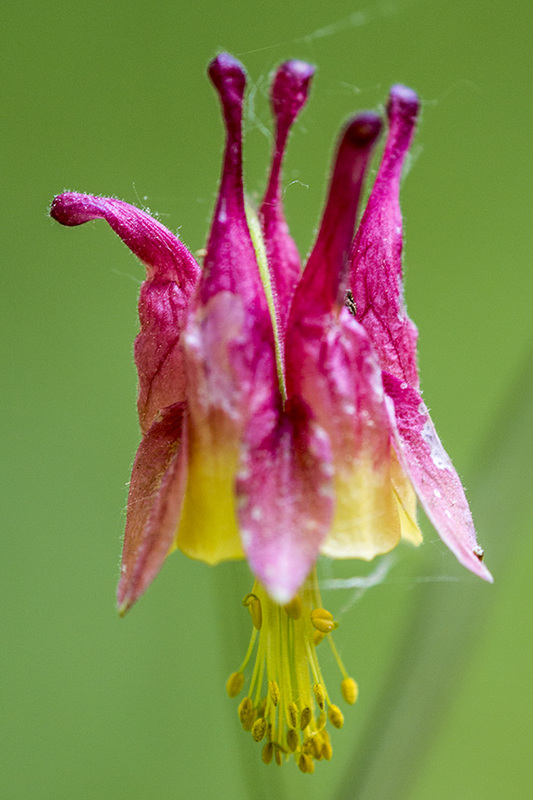 Yellow stamens and styles project well beyond the petals. There is no fragrance. The fruits are 5 erect pods, each ⅔″ to 1¼″ long with a beak ⅛″ to ½″ long. 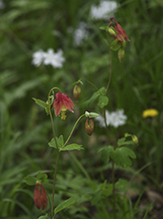 Smallflower columbine (Aquilegia brevistyla) has smaller, blue and white flowers. The spurs are hooked at the tip. It has been recorded only in Clay County. Tall meadow rue (Thalictrum dasycarpum) is usually much taller. 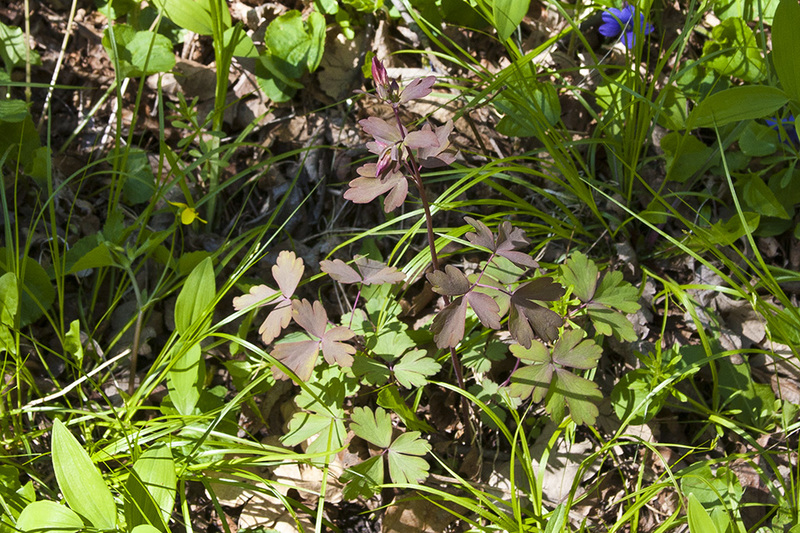 The leaves appear similar but are less deeply lobed. 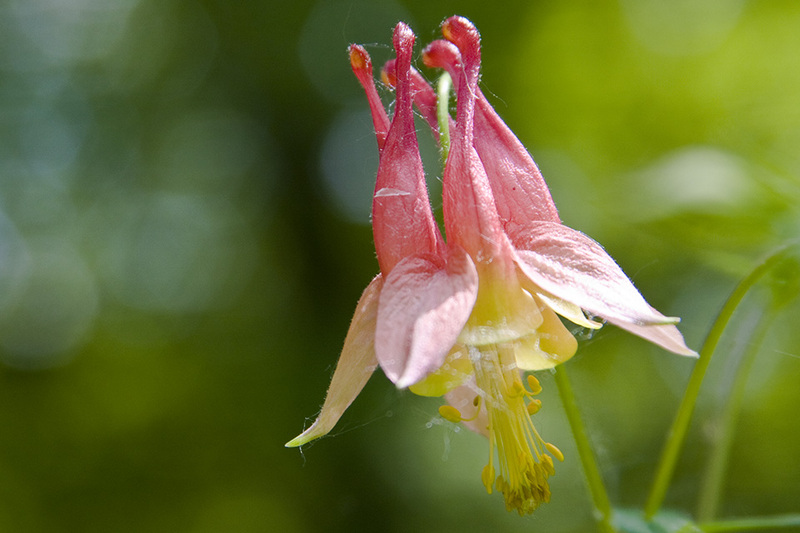 A detailed look at characteristics of Columbine (Aquilegia canadensis). 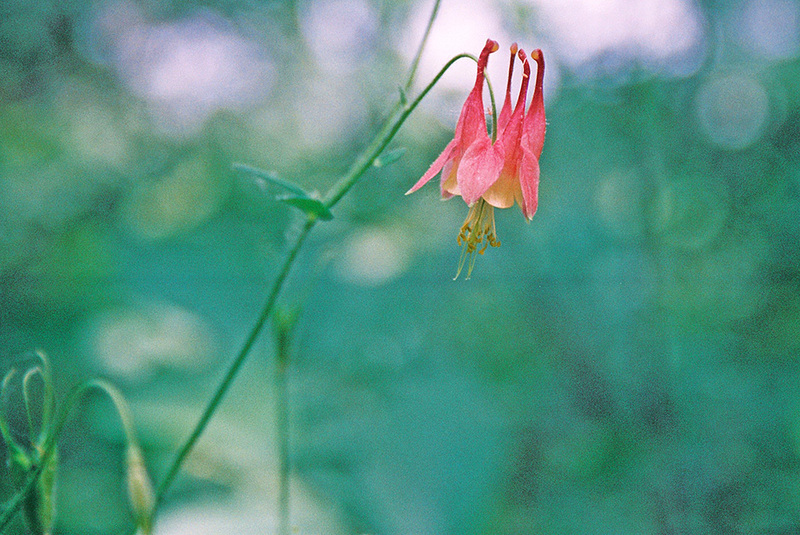 These images and narrative can help to accurately identify the plant during different seasons of the year. This video shows the Canada Columbine, or Wild Columbine (Aquilegia Canadensis). http://www.prairiemoon.com - An attractive plant at Prairie Moon Nursery which will attract hummingbirds, bees and butterflies.